What is up my amigos and familia, this week was pretty good, we baptized Santiago! I had the privilege of baptizing him and it was a great experience. He is excited to keep on learning and growing in the church. I hope he strives well to become more like Christ. We have baptisms lined up this transfer. We just got to help them get there. We are finding a lot of new investigators. Some that are ready to be baptized now, but we need to help them understand more of repentance and the importance of baptism. 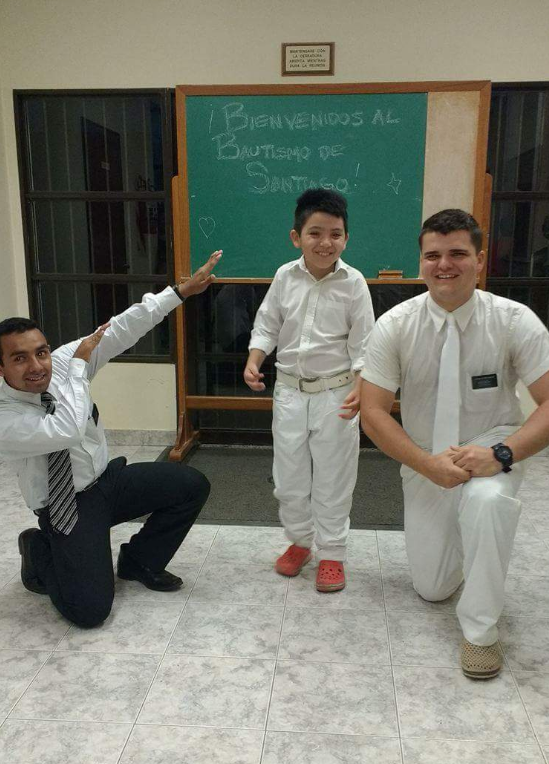 In Argentina it is fairly easy to baptize people, but it´s difficult to baptize CONVERTS. I am not here to baptize for number or for recognition. I am here to help others come unto Christ through repentance and accepting the Lord´s teachings and commandments, through conversion in prayer and reading the scriptures. I am here to baptize CONVERTS. I feel that we have 3 or 4 people that are getting close to being baptized. I know that the Lord is blessing us so much recently. I am very grateful for his hand in our work.